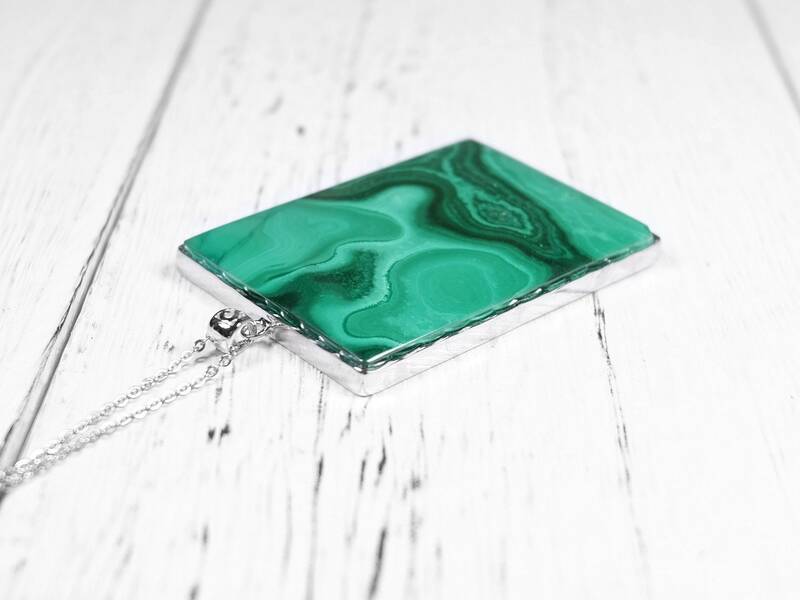 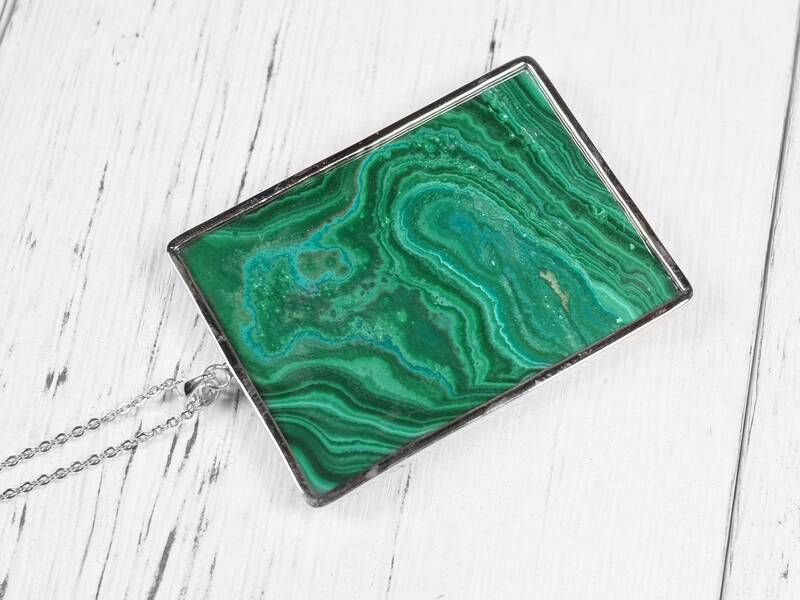 This necklace uses high-quality malachite with lush green colors and clear malachite patterns, the two things that make malachite stand out in its unique appearance. 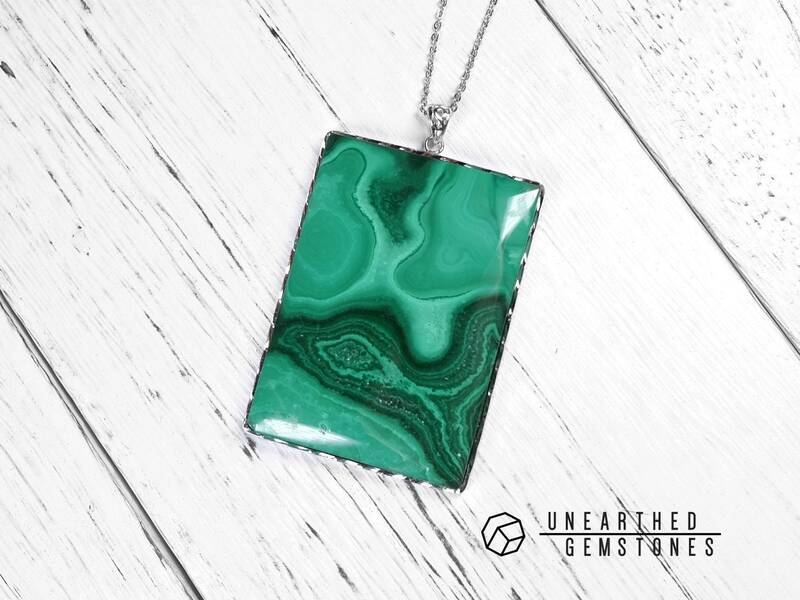 Please note that the size of the malachite is big, which will make a great statement necklace. 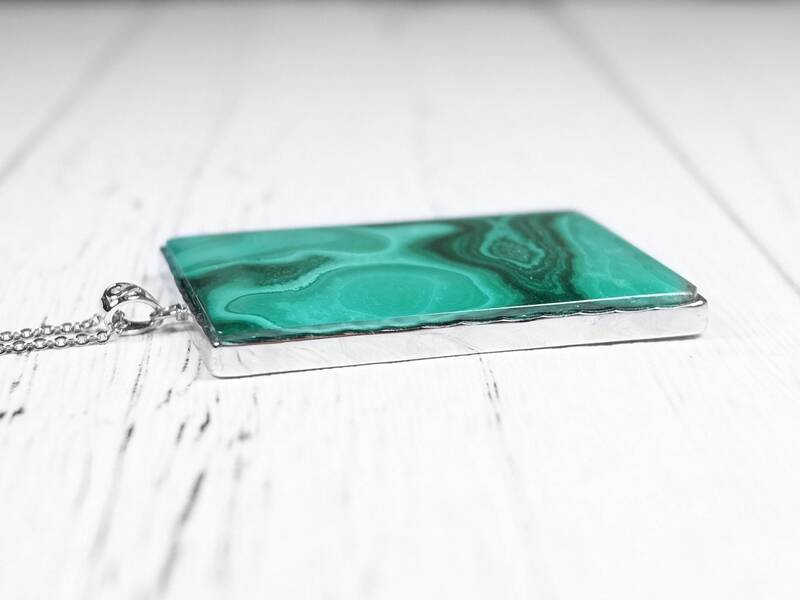 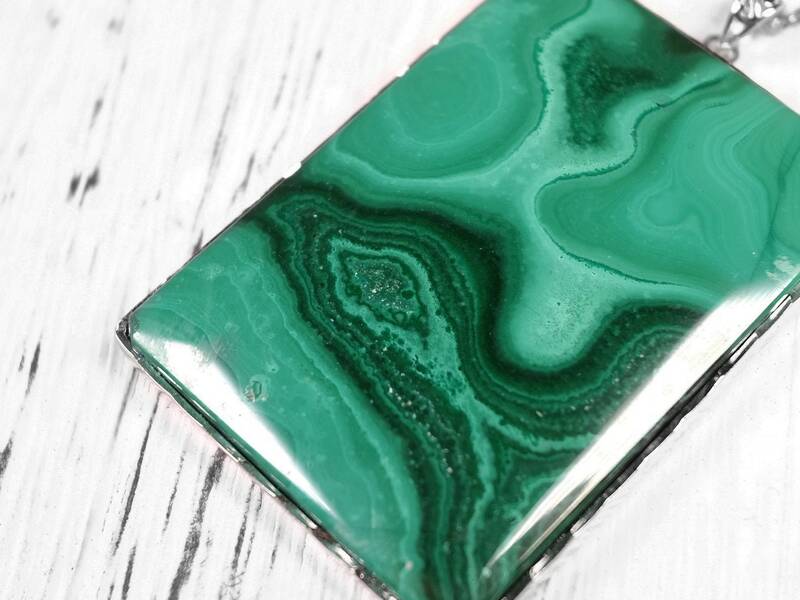 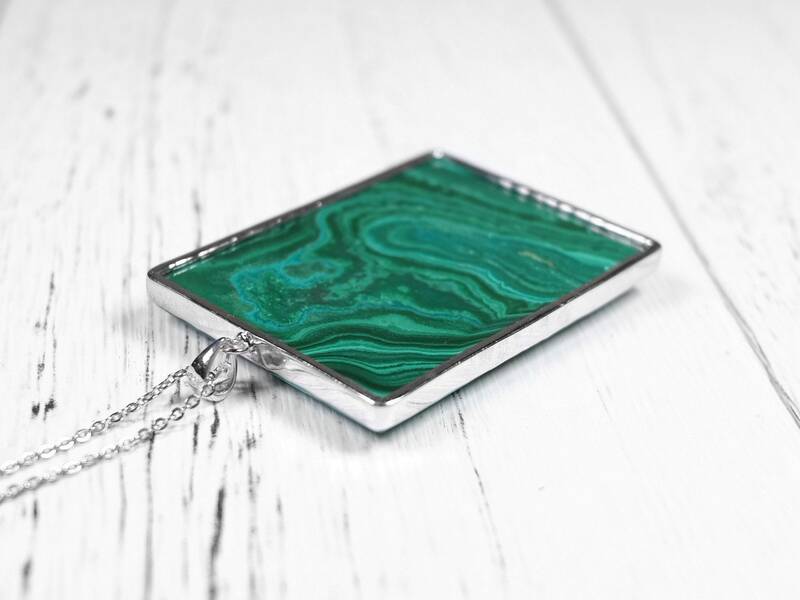 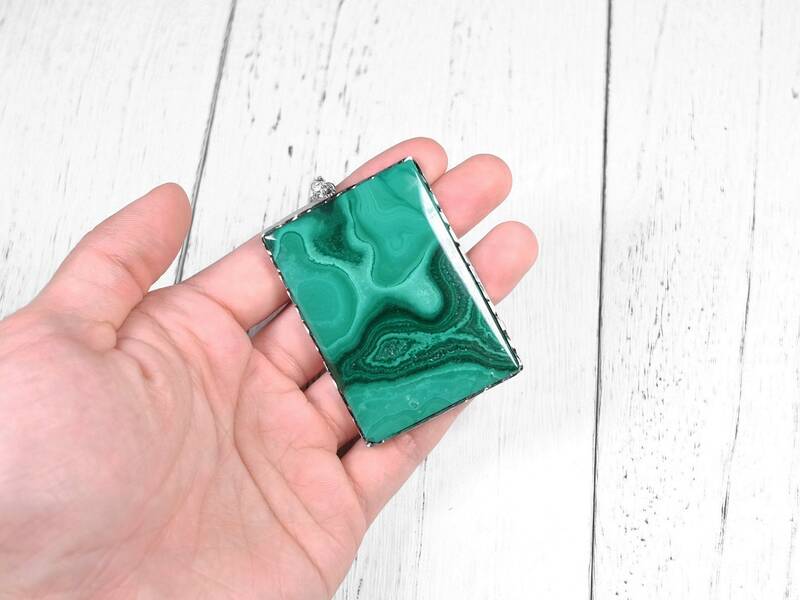 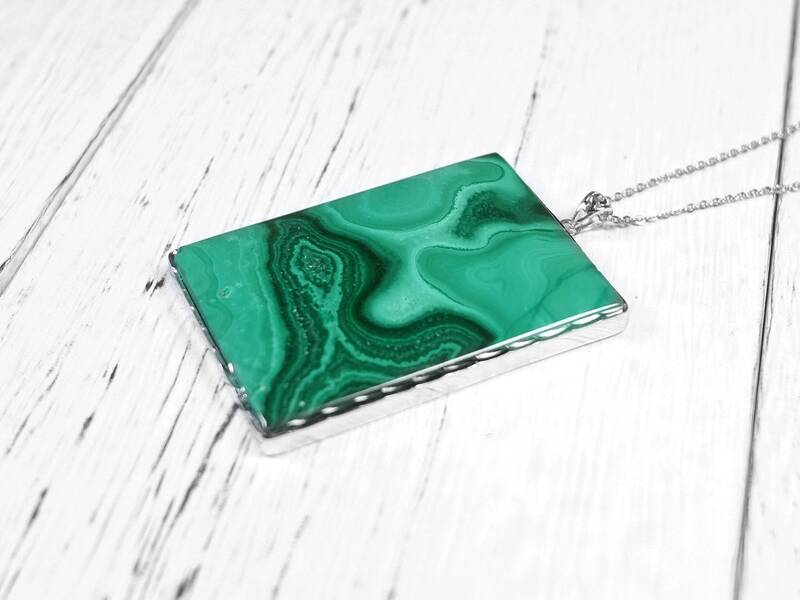 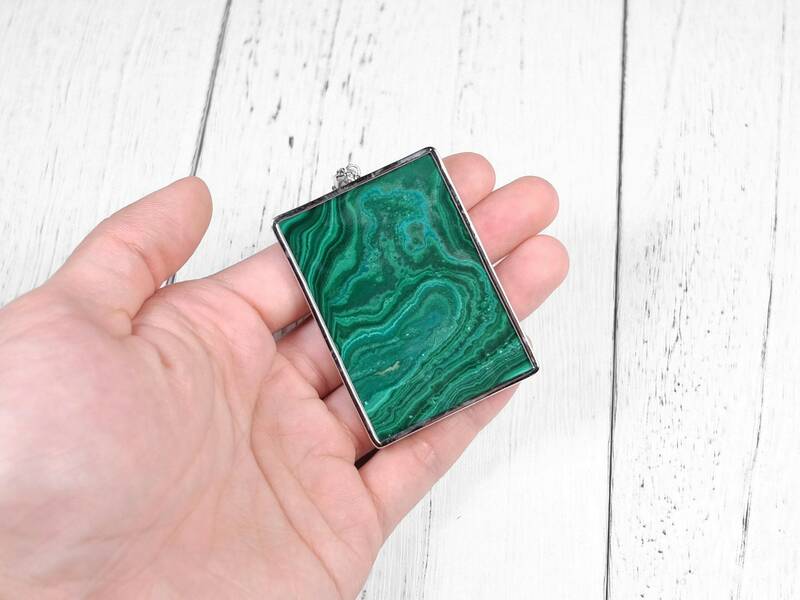 The malachite is cut to a rectangular shape and set in a sterling silver bezel setting.